At Grand Rivers Community Bank, banking doesn't just stop at accounts and loans. We offer our hard-working customers a wide variety of supplemental services to add ease to their banking lives — online, by phone, in-branch, and beyond. Enjoy greater peace of mind by adding an extra layer of protection to your most valuable possessions. 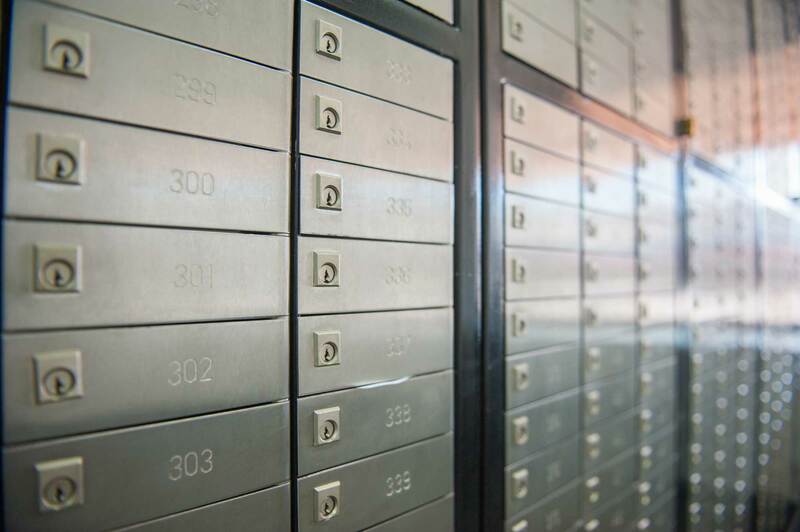 Stop by our Grand Chain branch or Shawneetown branch to get details about safe deposit box rental. *Contents of safe Deposit Boxes are not insured or guaranteed by the bank, the FDIC, or by any other government agency. Stop by any of our GRCB branches for free notary services. Please call ahead to ensure that our certified notaries are on site. Move money locally, regionally, or even nationally with ease. We offer both incoming and outgoing wire transfer services. Contact us for details.